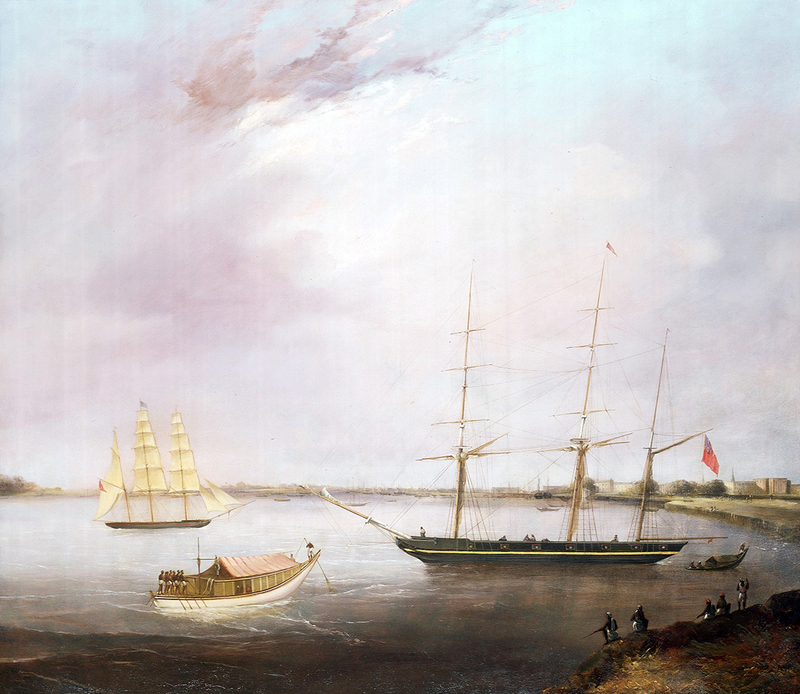 The above oil painting shows the ship Streatham of the Honourable East India Company, with the opium clipper Red Rover at anchor in the Hooghly River, Calcutta. The buildings of Calcutta dominate the skyline in the background. Two thirds of the painting is sky which emphasise the vast scale of India. The artist of the oil painted in British style remains unknown. The date of the work is presumably 1830s. This entry was posted in Transports, Water Transports and tagged Bengal, british opium traders, calcutta, captain william clifton, china, East India Company, hooghly river, old calcutta, opium, opium clippers, opium war, red rover, streatham.